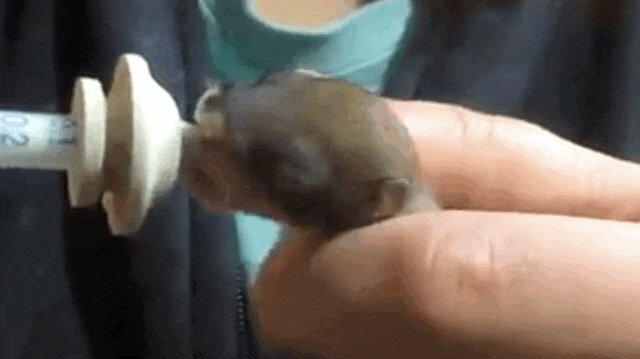 Get ready for the tiniest, sweetest squirrel you've ever seen. 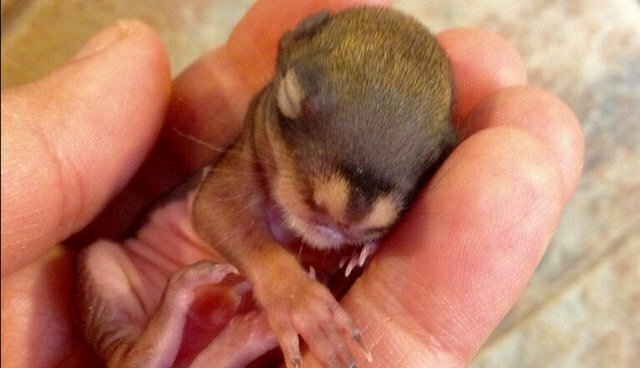 This itsy-bitsy red squirrel is less than 2 weeks old, and he's getting all-day care and frequent feedings from dedicated volunteers at Wildwoods, a small non-profit that helps orphaned, sick and injured animals return to their natural lives. Weighing only 20 grams, the little guy was rescued by Tara Sikes after she discovered him alone in a nest that was nestled into the engine bay of a car. Sikes waited to see if the mother would come back, but it soon became clear the days-old squirrel was all alone. Tara put him in a little box with a heating pad to keep him warm, and then drove him two hours to Wildwoods, an animal rehab center in Duluth, Minnesota. He arrived there on Wednesday night. 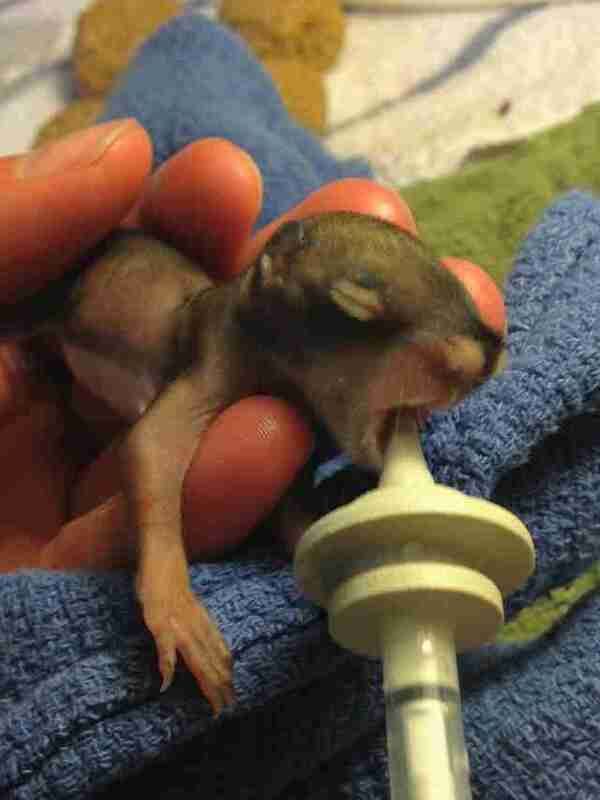 The baby squirrel eats five times a day, and Wildwoods had to order a special squirrel milk formula for him, to mimic the milk he would have received from his mom. The little guy won't even open his eyes for another three weeks. "Our ultimate goal is for them to live safely in the wild," Sarah Glesner, animal care supervisor at Wildwoods, told The Dodo. 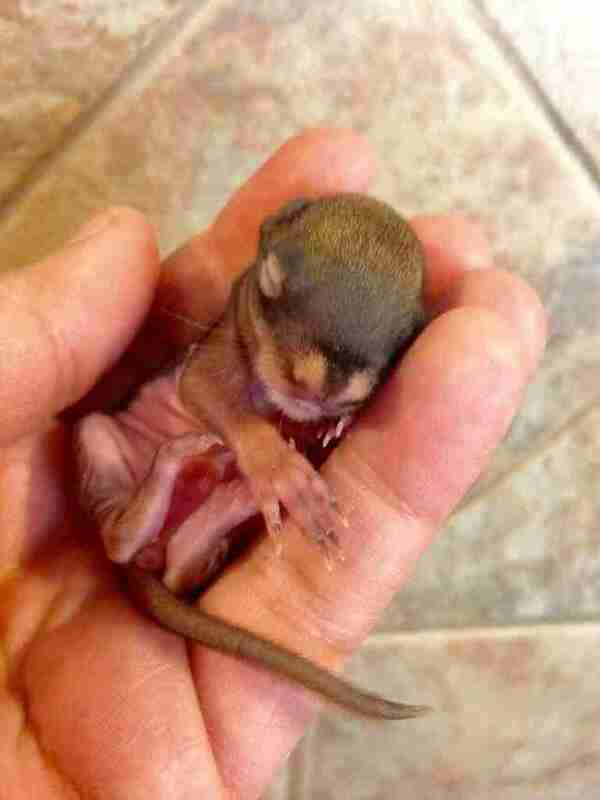 "This little squirrel will be in our care for the next eight to 10 weeks while he grows and learns how to forage on his own, then he will be released back into the wild." If Wildwoods gets another red squirrel in the meantime, or finds one at another rehab center, they will try to coordinate to release them back into the wild together. "It has been a hard spring for us here at Wildwoods!" Glesner said. "With the early end to winter weather, we have many orphaned squirrels in our care." 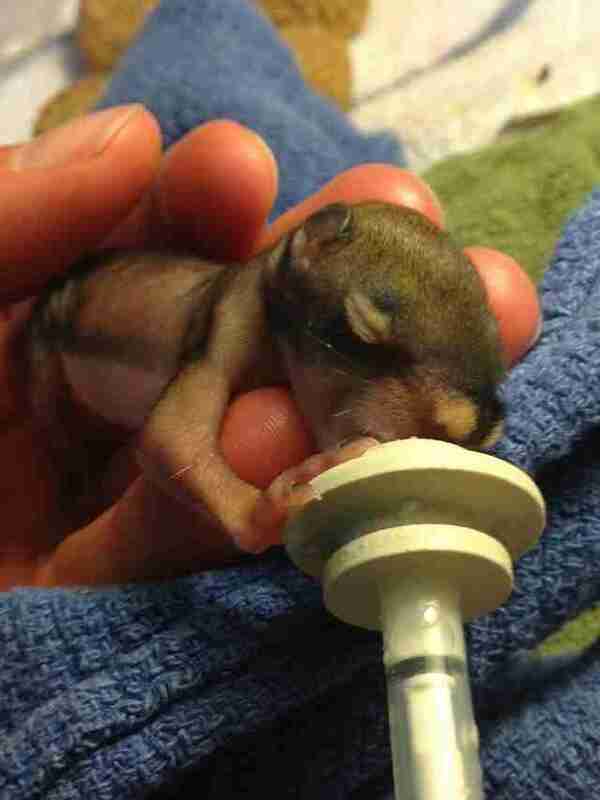 Learn how you can help animals like this incredible squirrel here.